According to official propaganda, Kim Jong-Il was a remarkably impressive individual. He learned to walk when he was just three weeks old; he wrote 1,500 books while at university; and, during his first and only game of golf, he scored 11 holes in one. Yet for some reason becoming the world’s first North Korean professional golf player didn’t seem to interest Kim. He wanted to make movies. So, in 1978, while his father Kim Il-Sung was still the country’s supreme leader, Kim set out to modernize the film industry of the Democratic People’s Republic of Korea. "The North's filmmakers are just doing perfunctory work," Kim said to South Korean film director Shin Sang-ok. "They don't have any new ideas…their works have the same expressions, redundancies, the same old plots. All our movies are filled with crying and sobbing. I didn't order them to portray that kind of thing." Of course, Kim’s bold plan to jumpstart the industry was to kidnap Shin and his wife, both celebrities in South Korea. He was abducted in Hong Kong and, when he had the temerity to try to escape, he ended up spending four years toiling in prison, subsisting on little more than grass and a little rice. Eventually, Shin was approached by Kim and given an offer he dare not refuse: make movies in North Korea. Like the films cranked out in China during the height of the Cultural Revolution, North Korean movies are largely propaganda delivery systems designed exclusively for a domestic audience. After Shin's kidnapping, DPRK movies started to get just a bit less didactic. Simon Fowler, who writes probably the only English-language blog on North Korean cinema, just wrote an article for The Guardian where he selected the best films to come out of the Hermit kingdom. You can watch a few of these movies here and find the others at The Guardian. They might be goofy, maudlin and ham-fisted, but for movie mavens and aficionados of Communist kitsch, they are fascinating. 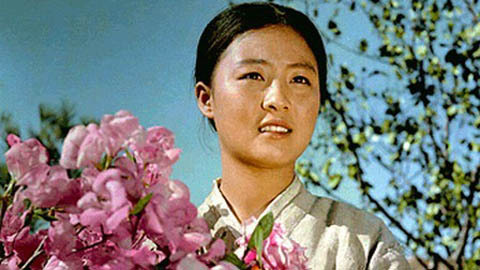 Hong Kil Dong (1986) is clearly one of the movies Shin Sang-ok influenced; it foregrounded entertainment over ideology, a rarity at that point in the country's film history. The movie is about a character from Korean literature who, like Robin Hood, not only robs from the rich and gives to the poor but knows how to deliver a beatdown. Hong plays out like a particularly low-budget Shaw Brothers kung fu spectacle with plenty of flying kicks, sword play and wire work. And finally, there’s Pulgasari (1985), North Korea’s attempt at making a kaiju movie. Set in feudal times, the film is about a statue that comes to life, grows to monstrous proportions and, unable to sate its unquenchable thirst for metal, starts to smash things. Shin managed to get technical help for the movie from Toho, the same Japanese studio that cranked all those Godzilla movies. In fact, they even got veteran kaiju actor, Kenpachiro Satsuma, to don a rubber suit for this movie. Years later, Pulgasari was released in Japan about the same time as Roland Emmerich’s god awful Hollywood remake of Godzilla (not to be confused with Gareth Edward’s god awful Hollywood remake from earlier this year). Satsuma publically stated what a lot of Japanese privately thought – Pulgasari is better than Emmerich's big-budget dud. Not long after Shin completed Pulgasari, he and his wife managed to escape in Vienna thanks to the help of the CIA and a host of other unlikely parties. Kim Jong-Il might have had super human abilities, but talent retention did not seem to be one of them. You can watch the three films listed above, plus Marathon Runner and Centre Forward over at The Guardian. More free films can be found in our collection, 1,150 Free Movies Online: Great Classics, Indies, Noir, Westerns, etc..